One source says, "There are a few of them scattered in all the districts of Sikkim. Their natural environment is hilly terrain, moderately cold, humid, and without snowfall." The Yakha language is one that fascinates scholars. 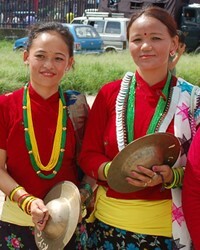 It appears to be related to Rai and Limbu, yet it has features that are distinctive from both. According to one study, "The Yakha are a tribal group of almost 26,000 people living in nearly 600 villages throughout the mountains of eastern Nepal. They are found throughout the Koshi Zone but are primarily just south of the city of Chainpur." Yakha communities are spread across the Tehrathum, Sankuwasawa and Dhankuta districts within Koshi Zone. From one end of their territory in Nepal to the other is a distance of approximately 80 kilometers (49 miles). Other sources list between 8,000 and 10,000 speakers of the Yakha language in Nepal. A migrant community of Yakha has moved to north-east India. Approximately 4,900 live in the Darjeeling District of West Bengal and 960 in Sikkim. 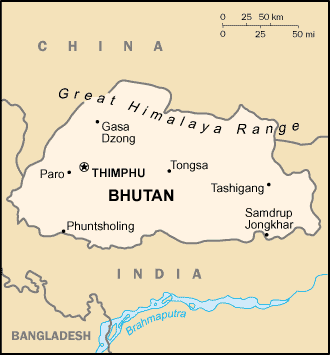 Only about 200 live in Bhutan. Life in Bhutan is filled with difficulties for anyone who wants to farm. Grain does not grow well in this high mountainous climate, and it's hard to keep livestock healthy. There are conflicting reports regarding the religious beliefs of the Yakha people. One source says, "They are traditionally animists, but have adopted many of the Hindu customs and beliefs." Another states, "Most identify themselves as Buddhists. A few have embraced Hindu customs and beliefs because of their exposure to Nepalese and Indian culture." Buddhist influence is strongest among the Yakha in the Sankhwasawa District, but it is more diluted the further south they are found. Not only are the different accounts of the Yakha's religion confusing, but also a great variety of opinion exists on the status of Christianity among them. One source claims, "Many Yakhas have heard the name of Jesus, and received Christian literature, but have not yet understood the message of the cross and Christianity. There are about 750 believers scattered throughout Yakha villages, which is about 3 per cent of the total Yakha population." A second report gives a less enthusiastic appraisal of the gospel among this group. "Christianity is considered a low-caste or foreign religion. As a result, many Yakha are very anti-Christian and would excommunicate from their communities any who become Christian." This kind of threatened separation from the tribe is a formidable barrier to most in the Yakha culture. One key to reaching the Yakha with the gospel, however, may be their desire and deep respect for traits such as honesty and kindness. Believers who have opportunities to live Christ-filled lives before the Yakha may be able to gain their respect and point them to the Author of Life. Among the Yakha in India, some have recently become Christianized. They are those who know the least about their language, culture and ethnic feelings. Yakha people need help growing abundant crops and raising healthy livestock in a hostile climate. They also need the change to find and embrace Jesus Christ, the savior of all nations, including the Yakhas. * Pray for agricultural experts to help the Yakhas with their agricultural needs. * Pray that even in remote Bhutan, the Yakha people will be able to find and embrace the savior. * Pray that soon there will be a disciple making movement among Yakha people in Nepal and Bhutan. https://en.wikipedia.org/wiki/YakkhaView Yakha in all countries.